YouTube advertisements are about to get far more interactive. Google, YouTube’s parent firm has now introduced new ways for advertisers to drive conversions and make more money on YouTube. We all know that video plays an important role in the customer’s journey to purchase or book services online. So YouTube now has introduced new ways for marketers to become more successful full-funnel storytellers with the combined ability of YouTube’s creative canvas with Google’s machine learning and measurement options. Google has been refining ad extensions in TrueView in-stream ads, very similar to the extensions that are used in Search Ad campaigns. YouTube extensions will now offer the viewers with additional information to help encourage and support immediate decisions. Viewers will now be able to book a trip, download an app or find and book movie shows, all within the YouTube ad. These ads will be targeted according to consumers’ viewing habits and searches he/she had made on the website. Early adopters of the new extensions include Vodafone, Maybelline, 20th Century Fox, Chili’s, and Headspace. Based on reports released by Google, Vodafone drove a 2.3x times the incremental lift in ad recall and a 3.5% rise in its click-through rate. Google understands that storytelling is not just about driving short-term campaign wins, it is also about quantifying results at each stage of the consumer’s journey. To give further insights on both the upper-and lower-funnel metrics, YouTube has made advancements in their Brand Lift Solution and has partnered with IRI (an organization which is considered as one of the pioneers in the Big Data Industry). Advertisers will now have the ability to set up their own Brand Lift Study directly in Google Ads or Display & Video 360. This allows advertisers to follow along with the outcomes in real time. Lifted users – Computes the number of users who were influenced by your ad. Cost per lifted users – To optimize your campaign’s effectiveness and cost-efficiency. 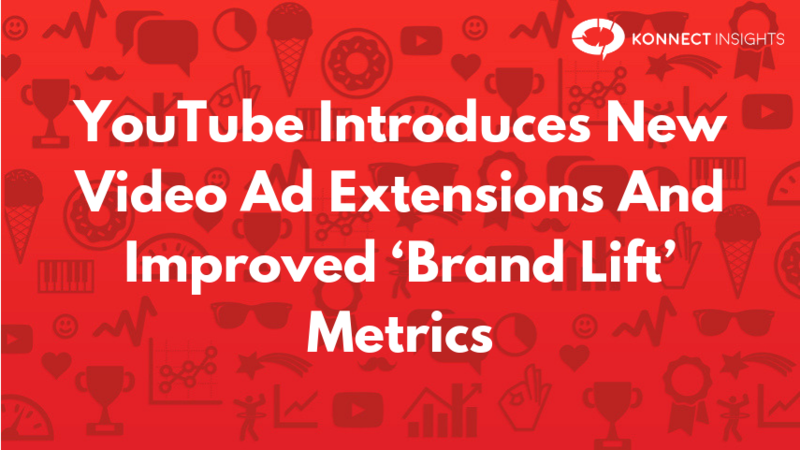 To get the most out of these new tools, YouTube proposes to use Maximize-Lift bidding.